The partnership will allow MG Motor India to leverage existing network of Myles available in 21 cities besides its own network of 110 sales and service touch points. MG Motor India has announced a tie-up with Myles car sharing and car subscription company from Carzonrent. This alliance is a part of its next generation mobility solutions strategy. The value of this tie-up is estimated at over Rs.250 crores in the first phase. Through this partnership, MG Motor will have leverage to Myles networks across 21 cities in the country along with its own 110 sales and service touch points. This tie-up has been introduced ahead of the launch of the new MG Hector SUV, which will launch in India by mid 2019. Customers will be able to experience the new Hector on a subscription basis, book test drives and avail car benefits on the Myles platform. 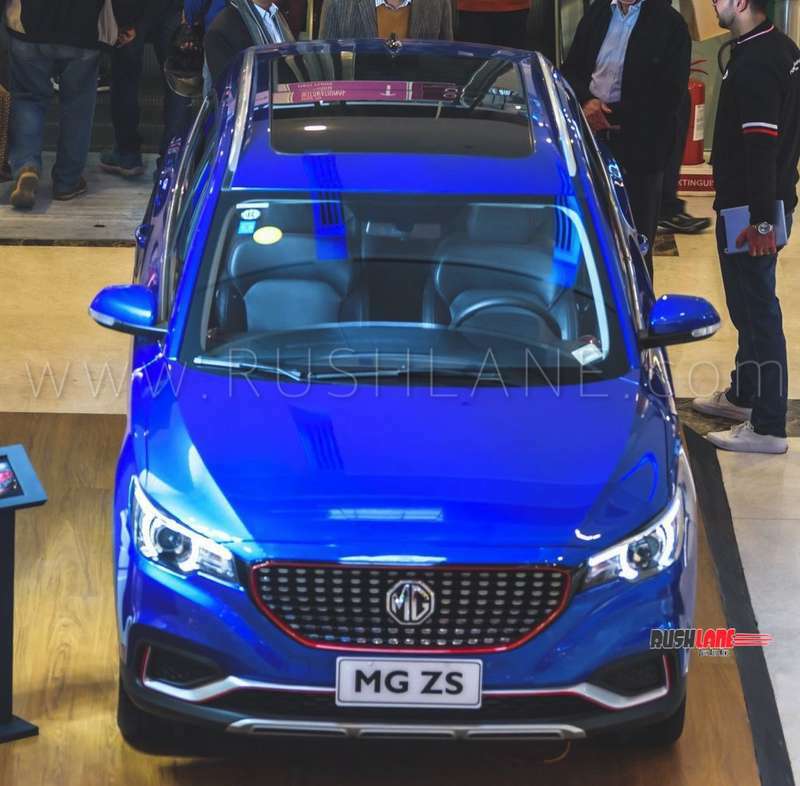 MG Motor also expects to extend the Myles subscription for the second pure electric model that is slated for launch by the end of 2019. MG ZS SUV on display at a mall in Noida. MG Motor is a new brand. Not many know about MG in India. Advertising and marketing can only help to some extent. But unless people drive their cars, and see their cars on the road, it will be difficult to push sales. And with their new car launch, which is specially made for India, so close, such a tie-up will help MG to make their car accessible to more people, without them actually purchasing the car. MG Motor gears up for the launch of the new Hector SUV in India. The name was announced recently. The company has also released a video, confirming launch of the Hector before June 2019. MG Hector will enter production at the company plant in Halol and is expected to be priced in a sub Rs.20 lakh price bracket. Myles has always focused on simplifying car ownership experience for customers. This strategic tie-up will be a part of the ongoing ‘MG Drive Innovation’ initiative which MG Motor conducts to identify, encourage and recognize start ups in the automotive space. In a similar program, MG Motor also conducted ‘Auto Tech Innovation Hunt’ with TiE. They released a research paper on Connected Mobility at the Global Summit. The company also entered into a partnership with IIT Delhi for better child safety. A hackathon was held on campus.